Sure, you get the title and the buttons ... but you'll be expected to contribute time, treasure, diplomacy, and land in return. “We buy horses, we buy trailers, we take time away from our families, we have to arrange babysitters,” she said. Fair enough. Hunt members pay dues and also spend a lot of time and a good bit of cash to enjoy their favorite hobby, much as opera buffs spend for tickets to hear their favorite arias and die-hard football fans invest in season tickets. Hunt clubs are, after all, clubs, and the support of hunt members is a crucial and appreciated part of the sport. But as you pay the feed bill for your own horse or pick up the phone hoping your babysitter is available this Saturday, spare a thought for the Master! The same is true for him or her (Masters, too, feed horses and need babysitters), but on top of that they have piles of hidden costs and work that hunt members rarely see. 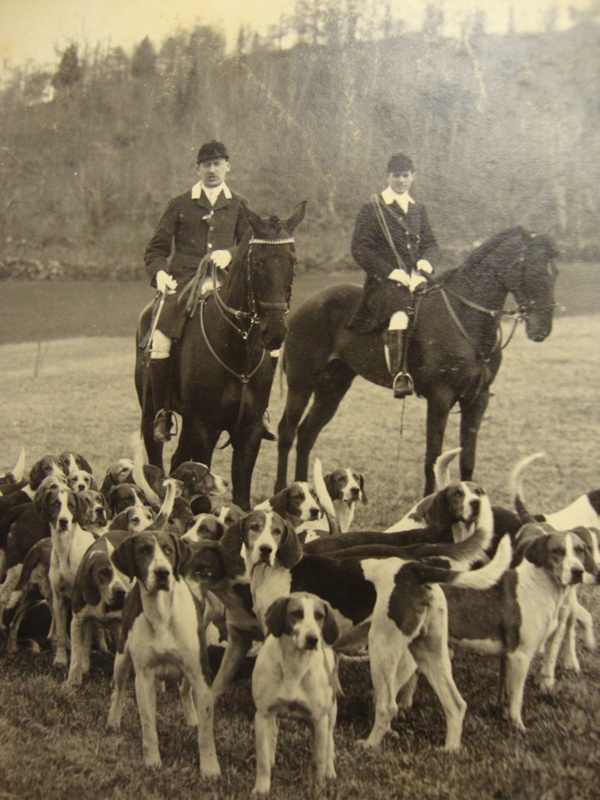 Given the challenges of the modern Mastership, from acreage to animal rights activism, it wasn’t all that surprising when a 2009 article in England’s sporting magazine The Field revealed why good Masters are becoming a scarce–and urgently needed–commodity among hunts. “The role has become arguably less glamorous, more nerve-wracking, and more open to criticism,” The Field reported, adding that in addition to the traditional responsibilities of providing land, clearing it, and maintaining relations with landowners, today’s Master also must be a public relations leader and legal expert, as well, on subjects ranging from employment law to animal welfare standards. 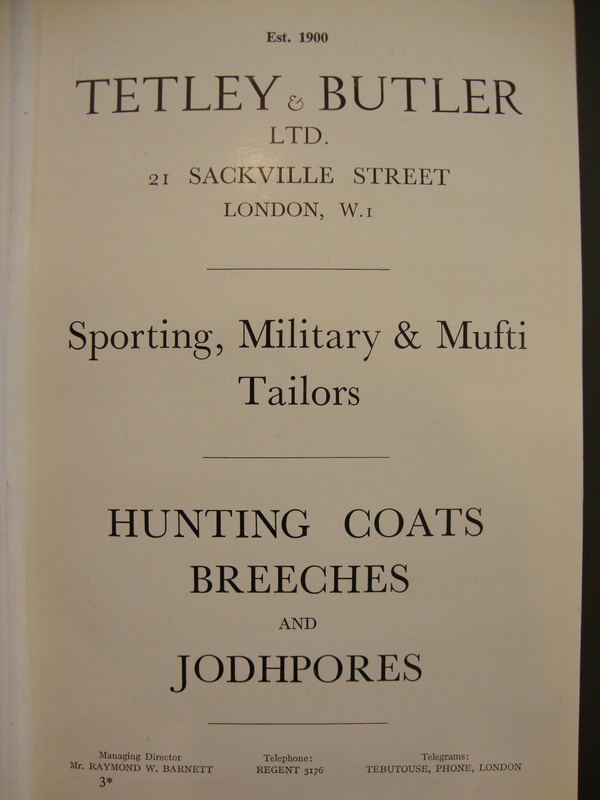 Unlike the hunt member quoted at the top of this page, Masters’ expenditures of time and money don’t only go directly to their own enjoyment of the sport; they must also lay out time and treasure for things that benefit the hunt first, and themselves only indirectly. A disgruntled landowner blames the hunt for an injury to his best bull because it crashed through a fence when the hunt rode by a field away? 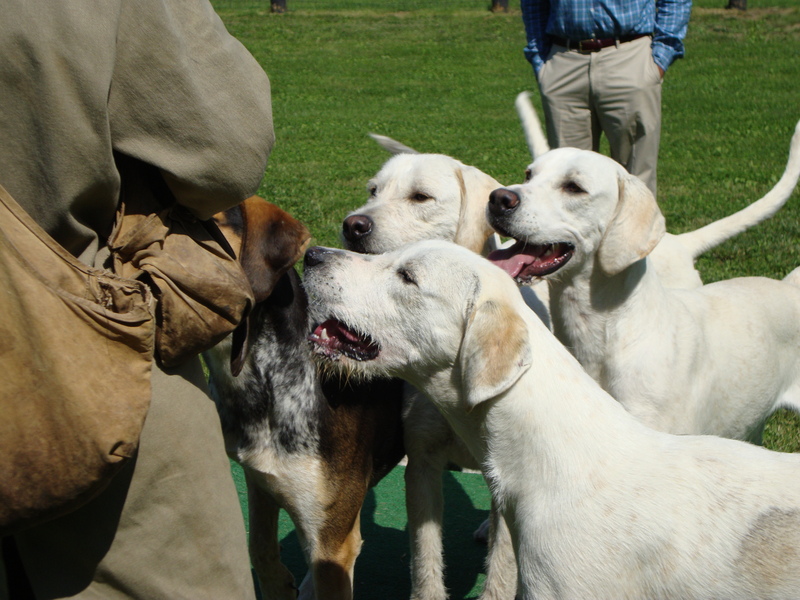 Chances are, the Master (or Masters) will pull out their personal checkbooks to make good the veterinary expenses, all in the name of keeping landowners compensated and happy–and the hunt country open. Very high on the list of these responsibilities is maintaining good contact with landowners and keeping hunt country open. 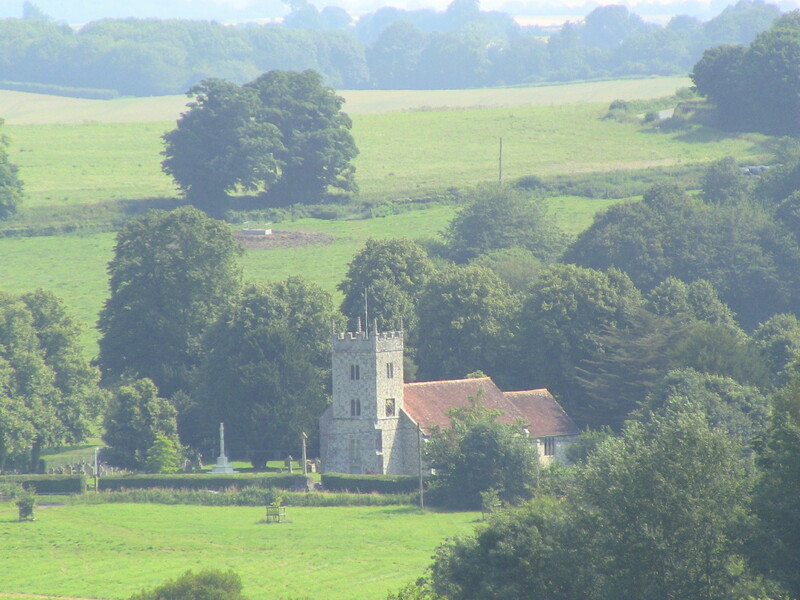 Keeping country open, and, if possible, expanding it, has been a constant worry for Masters for almost as long as people have ridden behind hounds, and it’s become a far more pressing concern in the last 50 years, as development and highways have closed in steadily on the countryside. For centuries, it’s been understood that anyone offered the title of Master should be prepared to bring land and/or money to the table, a responsibility that is probably even more important now as hunt country grows increasingly scarce. 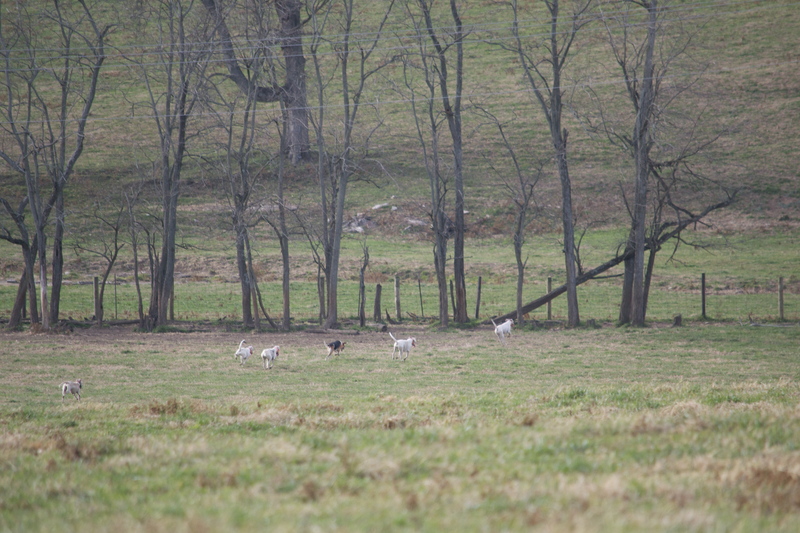 A hunt's country belongs, in fact, to its landowners, and a large part of a Master's work involves keeping that land open to the hunt--and undamaged by it. 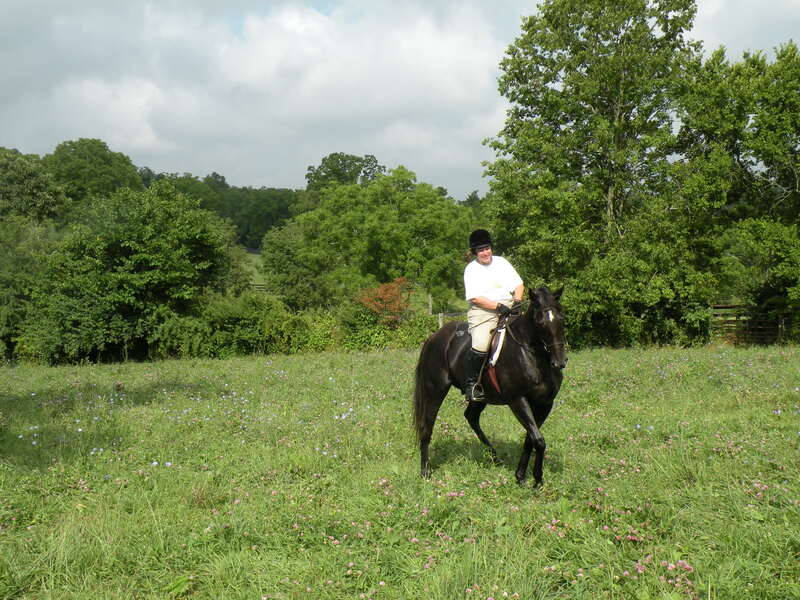 When tracts of hunt country come on the market, Masters frequently will be among the buyers. If they don’t purchase it themselves, chances are they’ll be working hard to recruit hunt-friendly buyers, and preferably hunt members, to secure the land, and thus the hunt’s future invitation to continue riding over it. A Master’s status as a landowner also can improve his credibility with his neighbors in the hunt country. 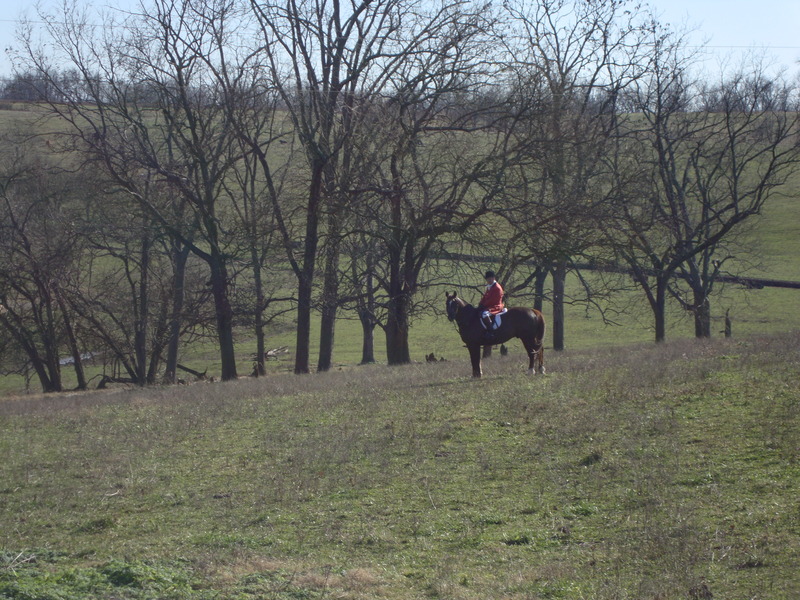 They are less likely to take seriously someone who arrives from town, having no previous contact with the owners or land other than by riding over it, and seeking concessions from them for the hunt’s sport. Landowner relations are the primary concern of any Master, and most of a Master’s most important duties trace back, one way or another, to maintaining the hunt country and good relationships with the people who own that country. Watching him open those letters was an important step in my sporting education. Until then I had not begun to realize how much there was to be done apart from the actual chivvying of the foxes. Thenceforward I became increasingly aware that a successful day’s hunting was the result of elaborate and tactful preparations, and I ceased to look upon an angry farmer with a pitchfork as something to be laughed at. The angry farmer shaking his pitchfork at the passing hunt is the very thing a Master works to avoid, and generally–often because farmers do not want their business gossiped around the hunt country, where their neighbors are sure to hear it–he or she must accomplish that task quietly, tactfully, and without compromising the hunt’s position (e.g., without losing the privilege of crossing the farmers’ land). Such dealings can be fraught with risk: if a hunt member forgets to shut a gate and a landowner’s cattle get loose upon the adjacent road, it’s the Master who faces the task of getting the entire hunt back in the landowner’s good graces as a result of a someone else’s mistake. Discretion is an absolute requirement: if personal discussions between a Master and a landowner get out into general circulation, embarrassing the landowner, the diplomatic channel between hunt and landowner can close for good. 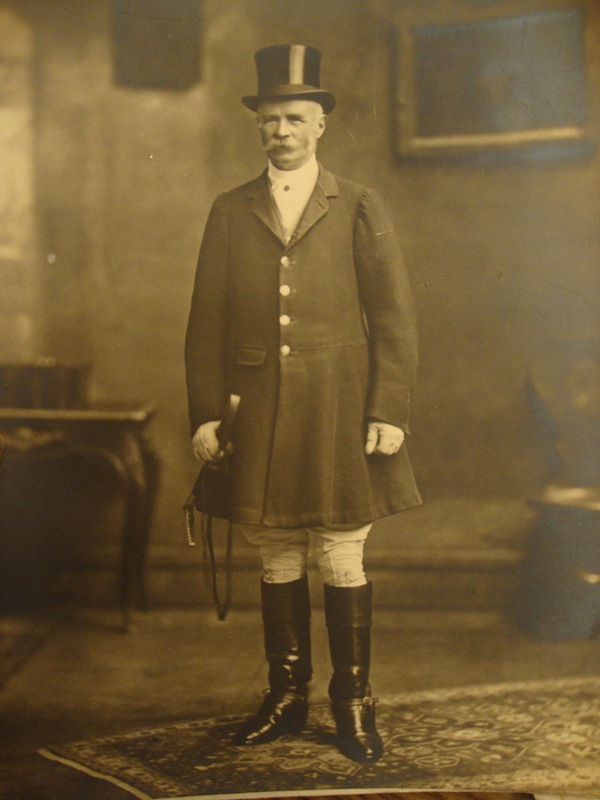 "There are very few young men who can afford to undertake the responsibility which devolves upon a Master and entails a large personal expenditure, in addition to the guarantee provided by the average hunt committee," Henry Higginson, MFH, wrote back in 1948. Since then, the Master's job has remained expensive and become even more complicated, thanks to problems like suburban development. The list of expenses begins with land and landowner-related costs (such as the aforementioned compensation, as well as friendly gestures, like sending over tickets to a favorite sporting event, hosting a landowner-appreciation event, donating to a farmer’s favorite charity, or sponsoring a rural children’s baseball team), but they do not end there. 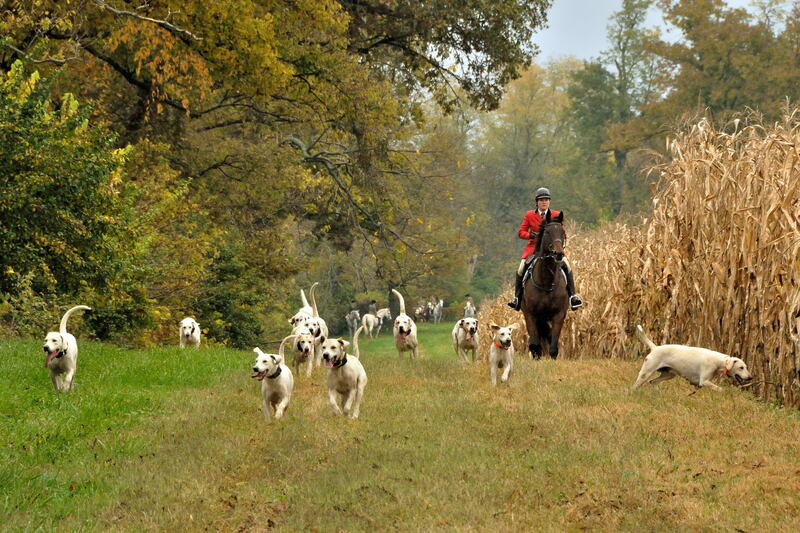 Most hunt budgets do not cover the actual expenses required to run a hunt program, and Masters are expected to step up to the plate and cover privately any expenses outside the hunt budget, whether for veterinary care to hounds, land-clearing equipment like weedeaters and chain saws, or the costs of allowing the hunt to travel to hound shows. Another requirement for a Master: hide like a rhino. If, like the houndbloggers, your finances don’t quite rise to the requirements of a Mastership, thank heavens there are plenty of other ways you can help ensure your hunt’s wellbeing! Join your hunt supporters’ club. Host a fundraiser that benefits the hunt. 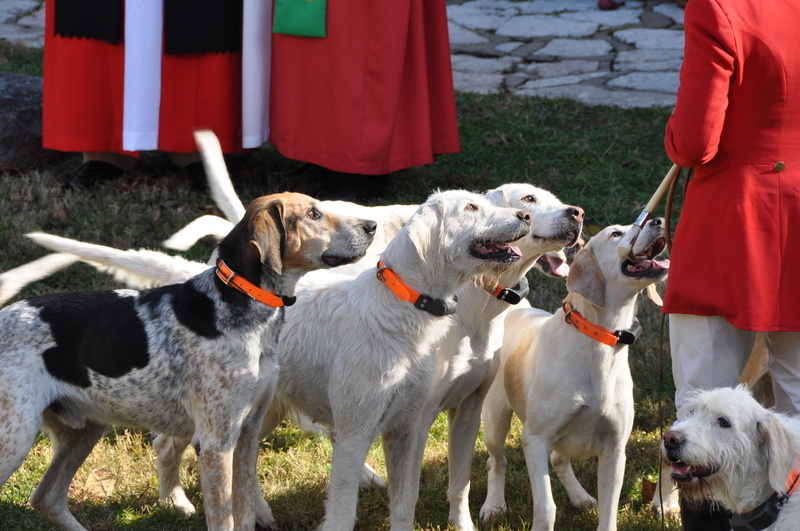 Donate to the annual Christmas Fund for your hunt’s staff. Volunteer to walk puppies or help socialize the young hounds at the kennel. Host a hunt breakfast or post-hunt tailgate. Sponsor the purchase of a new weedeater or chain saw to help with clearing country–and volunteer to help when your Masters clear the hunt country and conduct fence repairs in the summer. Join one of your hunt’s committees and pledge to pay any expenses you incur doing work for that committee. And, above all, be gracious and friendly to landowners! British officers, retired and current, and soldiers turned out in force at the Royal Artillery hunter trials in England last month. 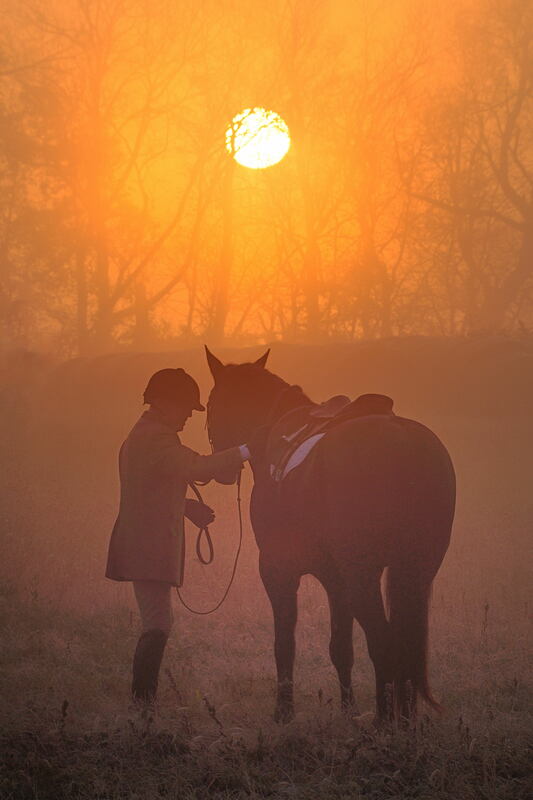 The Royal Artillery is one of the world’s military regiments with a long and storied connection to both horses, hounds, and hunting. IT’S Veteran’s Day if you’re in America, Remembrance Day if you’re in the United Kingdom, and so it’s a good day to reflect on the deep historical connection between the armed forces and hunting. It’s less obvious now than it used to be, but you can still see outcrops in a few remaining military (or military-associated) packs, particularly in England. 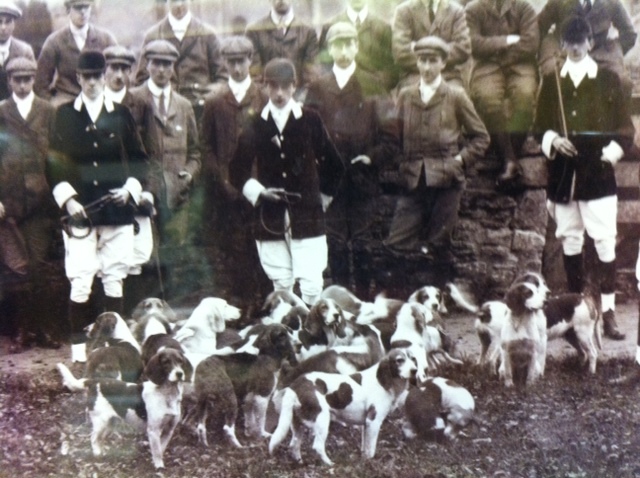 One example: The School of Infantry Beagles, now merged with another pack and called the Wiltshire and Infantry Beagles, retains its links with the infantry school and is a member of the Army Beagling Association (the mere fact that there is such a thing as the Army Beagling Association tells you a lot about the entwined history of pack hounds and soldiers). Britain’s last surviving military foxhound pack, the Royal Artillery Hunt, became a drag hunt after the 2005 hunt ban in England. 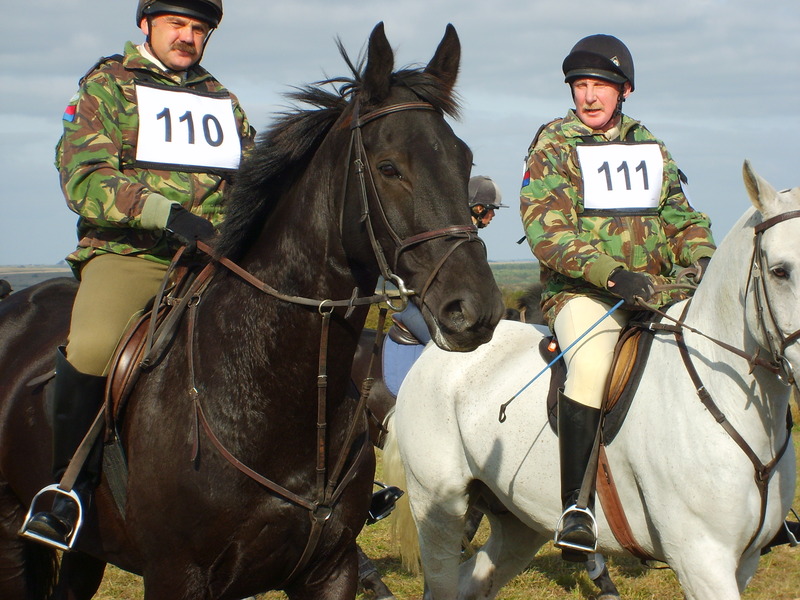 The hunt’s country is Salisbury Plain, England’s main military training ground, and it is not at all unusual, when riding with the Royal Artillery hounds, to come upon tanks and shellholes. There are few jumps there, the main obstacles being slit trenches and the impressively deep tank tracks that must be navigated safely. 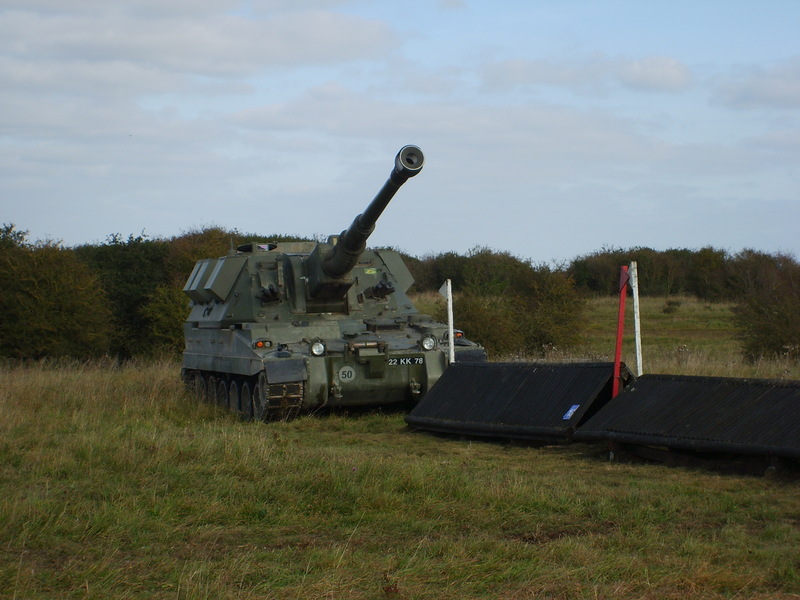 And fragments of ammunition and military hardware are common, as parts of Salisbury Plain are impact areas for artillery practice. 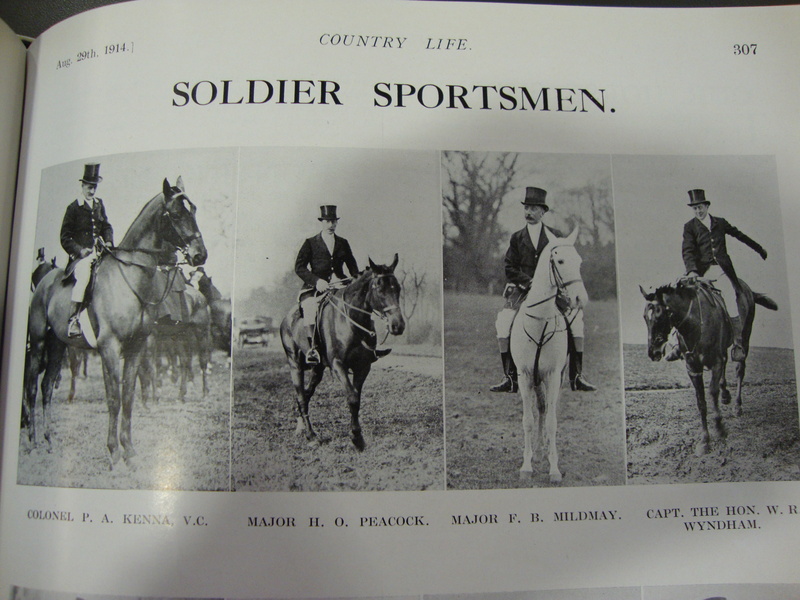 For a little more on the history of British soldiers’ involvement in hunting with pack hounds, this is an interesting source, from a Parliamentary exploration of the whys and wherefores of the hunting soldier. In the United States, the most notable military-foxhunting link is through the Fort Leavenworth Hunt, organized in 1926 by the 10th Cavalry regiment. The pack was disbanded during World War II but was reconstituted in 1964, and today still proudly counts military members among its numbers–including veterans of the wars in Afghanistan and Iraq. The hounds are American hounds. 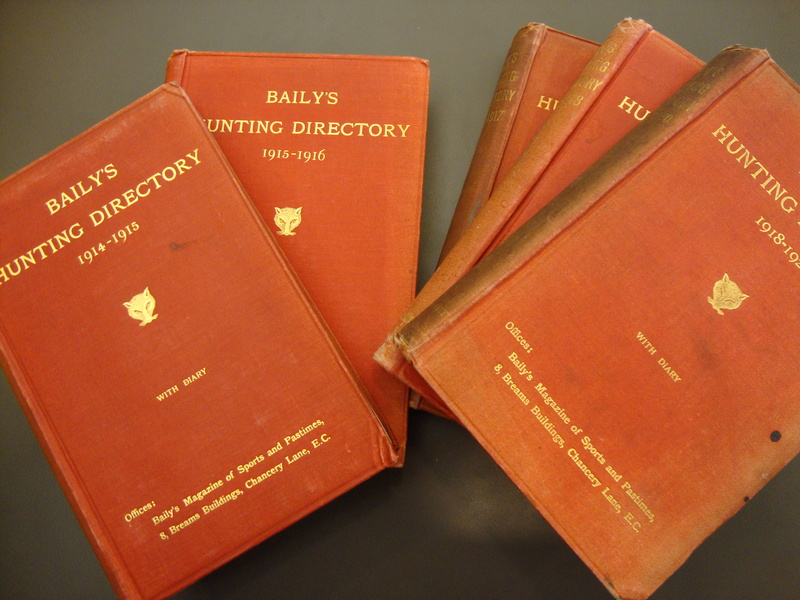 Back in the day, by which we mean before World War II, there were far more American military hunts, including the Artillery Hunt (Ft. Sill), Cavalry Hunt (Ft. Riley), Infantry Hunt (Ft. Benning), and 1st Cavalry Division Hunt (Ft. Bliss). 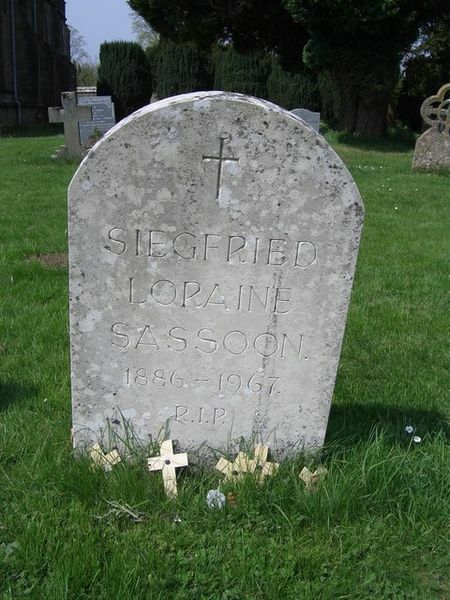 For more fascinating history of military foxhunts, especially in the United States, try the blog at A Horse Soldier’s Thoughts. The advantages that those who have been attracted by this pursuit will gain are many. For it makes the body healthy, improves the sight and hearing, and keeps men from growing old; and it affords the best training for war. … In an attack on the enemy they will be able to go for him and at the same time to carry out the orders that are passed along, because they are used to doing the same things on their own account when capturing the game. … In the rout of the enemy they will make straight for the foe without a slip over any kind of ground, through habit. If part of their own army has met with disaster in ground rendered difficult by woods and defiles or whatnot, they will manage to save themselves without loss of honour and to save others. I have heard far more recent commanding officers who have led troops in modern warfare say they still feel hunting provides valuable training today. Members of the Royal Artillery’s elite King’s Troop ride the powerful gun horses in competition as well as in their ceremonial duties. One, a former Master and huntsman at the Royal Artillery, told me that there were two important things, in particular, that soldiers still can learn from the hunt field: knowledge of the land and the wind and how to use them to their own advantage, and how to improvise and change plans under pressure when, as happens both in hunting and in war, the original battle plan falls apart due to conditions on the ground. Not your usual coop! The final jump at the Royal Artillery hunter trials. Time with hounds wasn’t only considered good training at home; it was also good sport for troops–or at least their officers–abroad. Tales of hound packs on the Western Front during World War I also abound. We first had a couple of harriers and a beagle; in 1916, we moved down the line to a village called Harbarque, behind Arras. Someone told us there of a farmer in the neighborhood who had hounds before the war and still kept some. I went to see him and found he still had 50 couple of sorts. 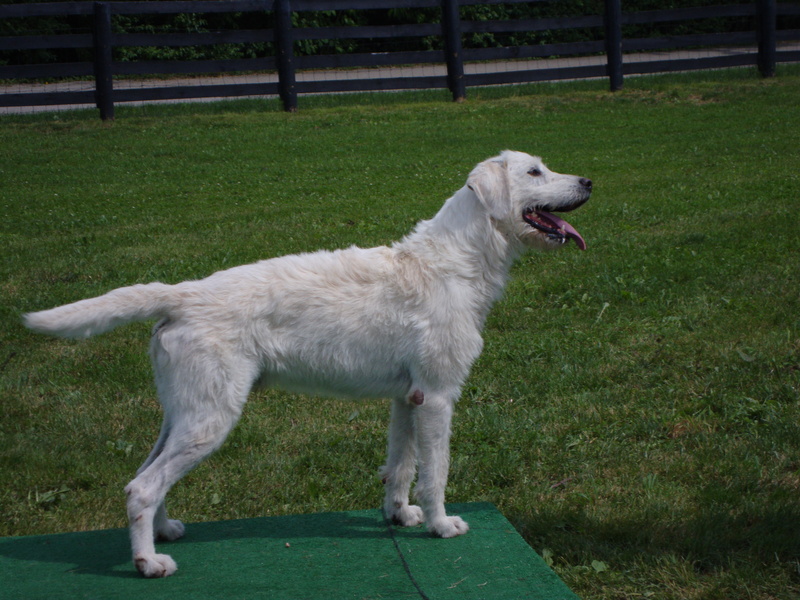 Greatly to my surprise I saw four couple of very light-colored hounds that I thought I recognized. Sure enough, they came from my friend Herman Tiarks, Master of the Mendip in Somerset. I knew the brand of old, and returned in triumph with all four couple. Then our regular fox hunting began. The best hunt of all was when we killed our fox close under Mt. Saint Eloi. … I was riding a good English hunter, but even he was getting beat, and we were longing for the end to come. We were riding straight for the second line. As I jumped into a road I met a party going down to the trenches. The officer halted them, and was waving his tin hat in wild excitement. ‘You will have him in three fields.’ he yelled, and sure enough we did. 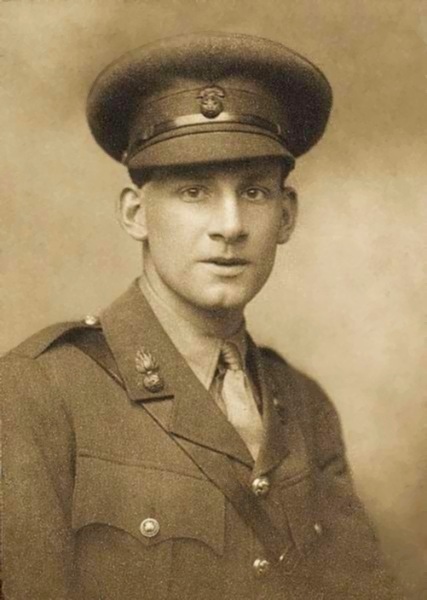 There are also numerous documented accounts of British officers, one a Brigadier-General, in the Great War who rallied their men by blowing their hunting horns. And George Washington (above, in the snazzy hat) was well-known as a keen hunter and hound man who even forgave one of his French foxhounds, Vulcan, when he stole an entire ham right out of the Mt. Vernon kitchen just as a large formal dinner party was sitting down to dine. According to Washington’s butler, a fight ensued between hound and kitchen staff, but Vulcan came out the best and galloped off with the ham in his jaws. Upon being told, Washington laughed. Here’s to you, Captain Arthur Marmaduke Whitaker–and to all of you who serve and have served!